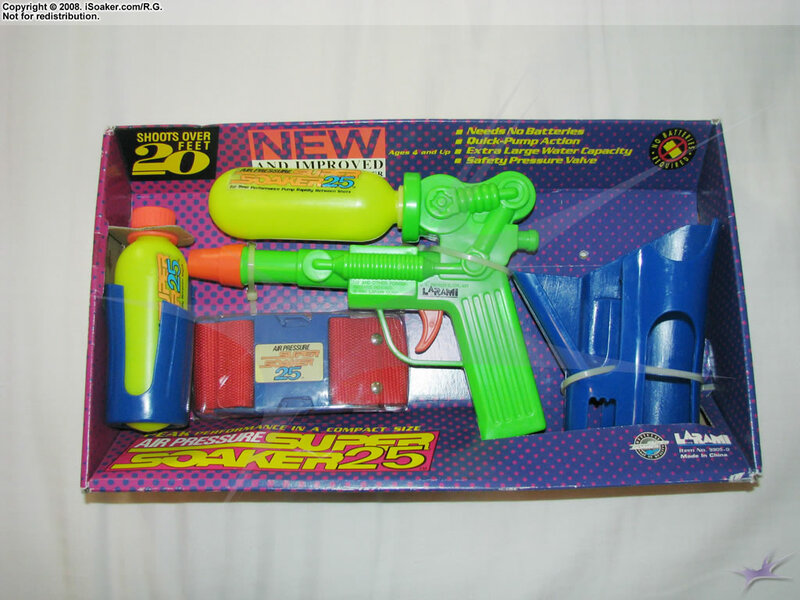 The Super Soaker SS 25 is a later-released pistol-sized water blaster. Though likely good for back-up, being an older and harder-to-find blaster, our working Super Soaker SS 25 is being kept in its original packaging and thus is unavailable for review. Thus, little is known about its performance, though its durability appears along the lines of the original Super Soaker SS 50.